ASGCA Annual Meetings have a storied history dating back to the inaugural 1947 gathering of the Founding Fathers at Pinehurst, North Carolina. The signature event for ASGCA members, the meetings include great interaction, innovation and education between fellow architects and invited industry leaders. ASGCA professional development includes study and play at fine golf facilities, and the spirited, friendly competition among ASGCA members. The Donald Ross Award, ASGCA’s highest honor, is presented annually to an individual who has made significant and lasting contributions to the profession of golf course architecture. First awarded in 1976 to golf architecture pioneer Robert Trent Jones, the honor continues to this day as one of the most prestigious in golf architecture. The ASGCA Distinguished Service Award is given to an ASGCA member who has contributed exceptional time and effort to benefit both ASGCA members and the organization. 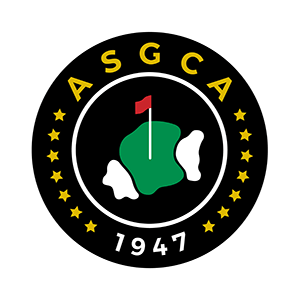 The award winner is chosen by the ASGCA Board of Governors and is not necessarily given annually. ASGCA members are the most knowledgeable golf course architects in the industry. Members continue to look for ways to improve their education and increase knowledge to better serve their clients. One way they build upon professional development is by gathering on a tri-annual basis for study tours that explore great golf courses around the world. Since 2009, these events have not only allowed ASGCA members to continue building their font of knowledge, but also benefits their clients (and golfers) by making sure the work they do positively benefits all aspects of the game – economically, environmentally and socially.